Near neighbours Lossiemouth and Forres Mechanics have been drawn to face each other in the first round of the Scottish Cup. In another tie on the shores of the Moray Firth, Buckie Thistle will take on Rothes. And Inverness side Clachnacuddin will head east to Deveronvale. The 18 ties teams from Scotland's Junior, Lowland and Highland Leagues will take place on Saturday 26 September. 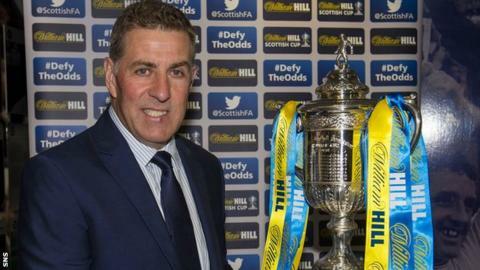 The draw for the first round took place at Hampden by Scottish FA president Alan McRae, Scotland assistant coach Mark McGhee and Willie Black from sponsors William Hill. Holders Inverness Caledonian Thistle and their fellow Scottish Premiership sides enter at the fourth round.